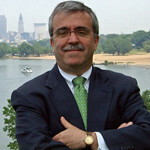 On Friday, March 18, Frank Ford, senior policy analyst for Western Reserve Land Conservancy, issued Is the Cuyahoga County Foreclosure Crisis Over? A Report on Housing Trends in Cuyahoga County after digging into 16 years of data spanning 57 suburbs and 34 city neighborhoods. You can find the Executive Summary and Summary of Findings and observations below. Click here to read the full report. Over the past year news media reports at the national level would lead one to believe the foreclosure crisis is over and the real estate market is well on the road to recovery. Less robust but similar trends have been reported for Northeastern Ohio and Cuyahoga County. This report on housing trends takes a closer look at the Cuyahoga housing market from two vantage points. First, historical data is presented so that current conditions can be seen in relation to conditions prior to the foreclosure crisis. Second, and perhaps more importantly, trends are analyzed at the “sub-market” level; more than 90 Cuyahoga suburbs and Cleveland neighborhoods are analyzed. As will be demonstrated in this report, positive trends at the County and regional level mask a much slower recovery in many parts of the County. The true health of the Cuyahoga housing market only comes into focus when neighborhood and suburban sub-markets are taken into consideration. 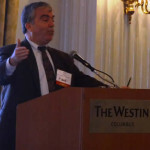 Consistent with reports at the national level, foreclosure filings in Cuyahoga County have continued to decrease and, if the current trend continues, within one or two years will be back to 1995 levels, before the foreclosure crisis began. County-wide the number of vacant 1-3 family homes has decreased over the past 6 years, from a high of nearly 25,000 down to 15,000. 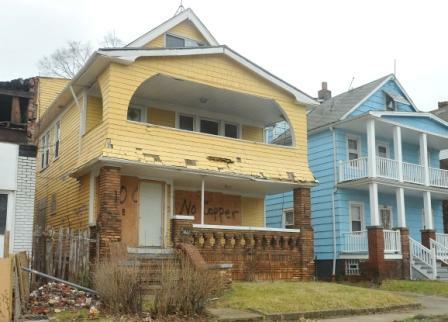 The number of blighted 1-3 family homes requiring demolition in Cleveland is now estimated to be 5,246, down from the 7,771 previously estimated by the City of Cleveland. The County Prosecutor has done a good job of increasing Board of Revision (BOR) Tax Foreclosure cases on vacant tax delinquent property. Home sale prices experienced significant decline after 2005, but one positive that cuts across all county sub-markets is that the free fall of median home price has stopped; prices in nearly all neighborhoods and suburbs have hit bottom, leveled off and are beginning to rise. Some Outer Suburbs like Westlake and Bay Village have recovered most of their lost value. The number of traditional “arms-length” home sales is on the increase in all sub-regions of Cuyahoga County. Although ninety (90+) day mortgage delinquencies have also declined, they have not declined to the same degree as foreclosure filings and as of October 2015 were still three times the level they were between 1995 and 1997. This suggests many homeowners are still in financial distress and struggling to pay their mortgages. 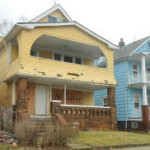 Nearly half of the vacant homes are believed to be both vacant and blighted; these blighted homes present the greatest threat to housing market recovery. The most blighted homes – those likely to require demolition – are not distributed equally throughout the county; 70% are concentrated in only two locations: the East Side of the City of Cleveland and the suburb of East Cleveland. The increase in BOR foreclosure has come at the expense of a decrease in Judicial Tax Foreclosure cases. Meanwhile, property tax delinquency has increased dramatically over the past 7 years. An increase in capacity will likely be needed for the Prosecutor to meet the demands of both BOR tax foreclosure and judicial tax foreclosure. While many suburban markets are well on the road to recovery, many Cleveland East Side neighborhoods and East Inner Suburbs, where blight and abandonment are still high, have seen a 70-80% reduction of their prior median price and are still struggling with recovery. 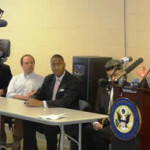 Although foreclosure filings have come down, the foreclosure crisis cannot be deemed “over” while significant portions of the county continue to be burdened with high concentrations of vacant and blighted homes.